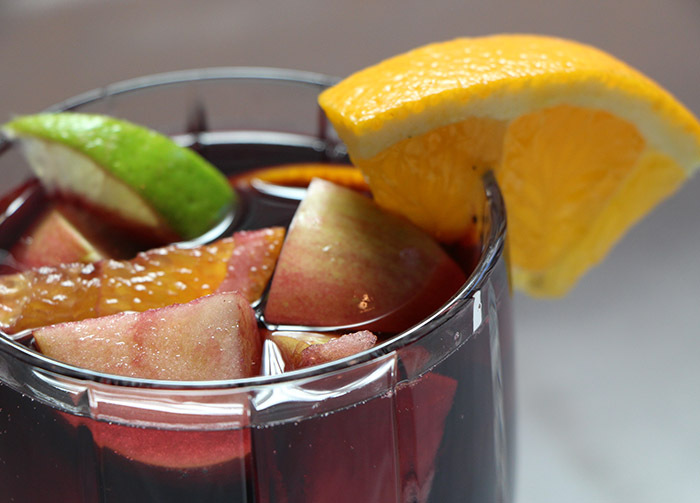 A light and refreshing red sangria recipe that will go perfectly with all of your food at your next bbq! Combine all of the ingredients in a container that will hold 8+ cups. Stir well-and serve over ice and enjoy!